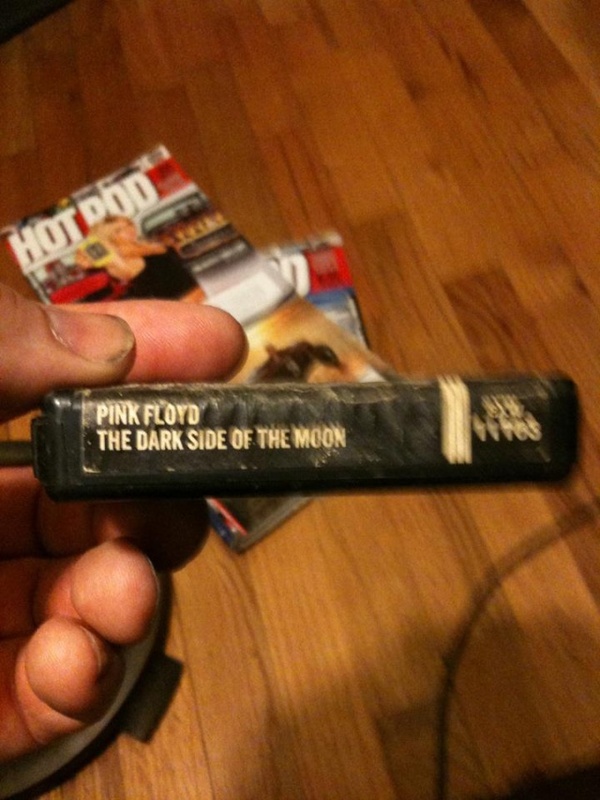 Re: My 75 Chevelle "ETHEL"
did you find Dark side of the Moon?? I have a decent stack of 8tracks and a crusty copy of Dark side of the Moon, also an excellent blue oyster cult , a ted nugent state of shock, several van halens and a nazareth hair of the dog. and a nice good condition rush all the worlds a stage. 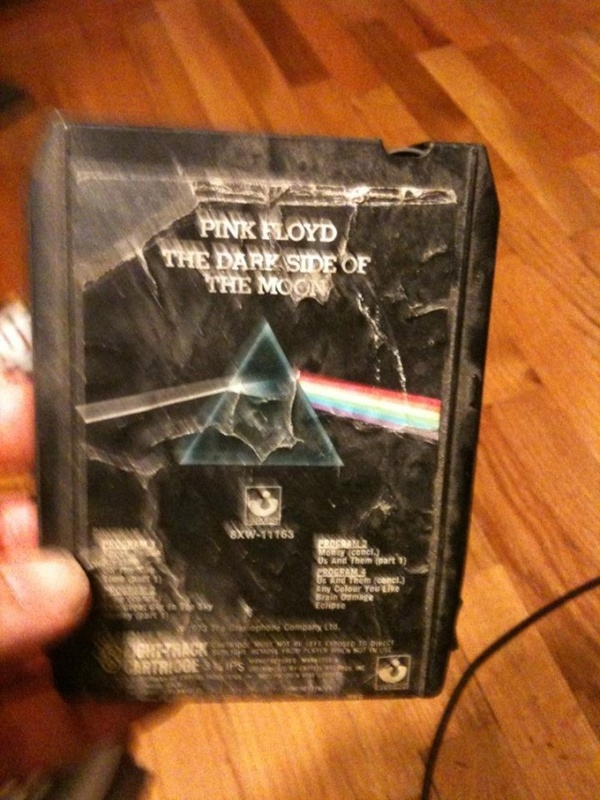 I'm gonna send you a picture of the dark side of the moon 8 track and if you want it I'll mail it to you as a cross country build gift. if you want that one and maybe a couple in better shape I'll send you an AC/DC dirty deeds and van halen women and children first,. Or a 80% good condition Boston self titled first album. Shoot thats from 1976.
carcass wrote: if you want that one and maybe a couple in better shape I'll send you an AC/DC dirty deeds and van halen women and children first,. Or a 80% good condition Boston self titled first album. Shoot thats from 1976.
definitely interested in any thing "Floyd" and Boston too. What do you want for them? I sent you a pm, pick a couple. I'll send em to yah. Just post a picture of your eight track player with one sticking out of it for the sake of retro nostalgia. I'm keeping the 8-track in my 75 as well. It's not working right now, but it may just be disconnected. I haven't dug under the dash yet to trace wires and see what's going on. I do want to get some tapes for it once I do. I remember them very well. I had Kiss: Alive II years ago. I remember you almost always had to shove a matchbook next to the tape so it wouldn't drag...laughs...I'd love the Van Halen and AC/DC one's if you still have them. I just want them for the look. I'd like to run the whole stereo off an ipod hidden in the car. and use the volume knob on the radio to control it. any tech geeks out there? I wrote this on April 29th, 2012. Man time flies! What started as a "little vacation"... has turned into two plus years apart. My son is 18 months now, we have just sold our house and are moving soon. Between work and homelife, my time is pretty well spoken for. Hopefully, once we are settled in the new place, I can get the garage set up. Then, I can bring Ethel home...For good. BicknellWelding wrote: Ethel is taking a little vacation, back to my brothers carpeted garage. I have a friends Harley in my garage for a frame repair, and need the room. I dont think Ethel would like the sparks flying anyways. She's a grumpy old lady sometimes! I was wondering when (if ever) you would post again. I know how it is with the kids (I have a seven year old, and a 15 month old). At least you still have your car, alot of guys give up their cars...not me, as a matter of fact I've had mine for twenty years this month. dynchel wrote: I was wondering when (if ever) you would post again. I know how it is with the kids (I have a seven year old, and a 15 month old). At least you still have your car, alot of guys give up their cars...not me, as a matter of fact I've had mine for twenty years this month. I've had mine for 19 years now. Oddly enough I've had dozens of cars and trucks come and go, yet she's still here. Had a random conversation with a friend today. He tells me his brother is selling a motor and the buyer does not have the cash. Knowing his brother is a mustang guy, I almost did not ask what the motor is. Turns out to be a 1999 6.0 LQ4. somewhere around 130k miles, complete with all accessories, harness, computer, radiator, gas tank, ac condenser, and a big box of parts. And a spare block for mock up! $400. Cant wait for it to meet Ethel. 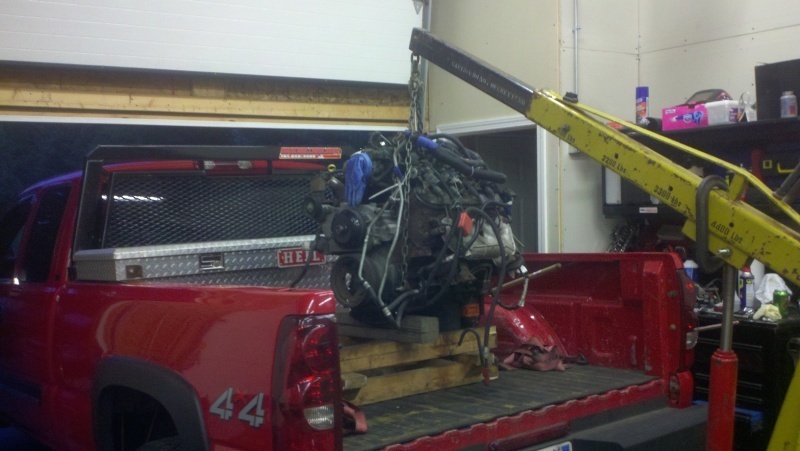 If the 6.0 in my truck is any indication of the power I can expect from this one, she should be a rocket. Time to start the T56 hunt. Wow, you lucky mofo!!! What a deal. LS_Quest wrote: Wow, you lucky mofo!!! What a deal. Now if that six speed would just fall out of the sky, I'll be all set. Although I've learned that the 99-00 6.0 has a thicker crank at the rear. I either need to swap it out or have it machined down and rebalanced, in order to run the stick. I did have a thought of adding the same thickness to the bellhousing to space it back. From what I've read the difference is .400". So the family and I are finally moved into the new house. I have more stuff than I could have imagined. My former two car garage and basement, filled my brothers barn and half of his garage. I have so much to sort though before Ethel can come home. 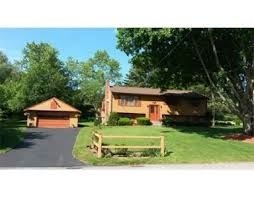 Heres the new place, the elderly couple kept this place in amazing condition. I managed to buy all their furniture and lawn equipment too. The guy had a started his bodyshop in the garage in the early 70's. Looks great, more room to play! Body shop LOL my neighbors all LOVE my garage! I constantly have stuff going on. My neighbor accross the street didn't even realize we bought a new vehicle, thought it was one I was doing side work on. He's like " I wasn't sure if it was yours, or one you're working on...you know how you are around here"
It's a nice feeling to have all your stuff organized in one place. Congrats Phil! Looks like plenty of room for them kiddies to have some fun.